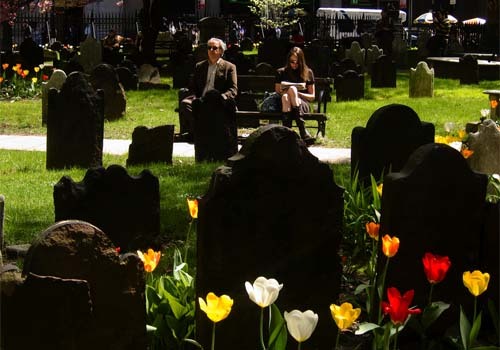 Dr. Atul Gawande’s latest New Yorker piece is described as another examination on on what’s behind the cost of health care, but it serves more as a lesson on how to both cope with the finality of death and to appreciate life. It took me several times to get through it, and luckily I wore my sunglasses in the subway so I wouldn’t look like some snob getting teary-eyed over his iPad. The opening (and ultimately, closing anecdote) is about an ill-fated patient of Dr. Gawande’s, a Sara Thomas Monopoli, who discovers she has incurable cancer 39 weeks into her first pregnancy. Dr. Gawande describes Monopoli’s long struggle to stay alive, with taking a series of experimental drugs with harsh side effects; at one point, she hides the fact that she’s lost feeling in her hands and had double vision for two months, for fear her treatment would be stopped. Gawande’s sprawling piece ends up being kind of a travelogue of his journey of accepting death for his patients. He believes, as do most people, that hospice care is meant to hasten death, even though at least one survey of terminal cancer patients found that those who elected for intensive care had similar survived no longer than those who entered hospice care. Curiously, hospice care seemed to extend survival for some patients; those with pancreatic cancer gained an average of three weeks, those with lung cancer gained six weeks, and those with congestive heart failure gained three months. The lesson seems almost Zen: you live longer only when you stop trying to live longer. Two-thirds of the terminal-cancer patients in the Coping with Cancer study reported having had no discussion with their doctors about their goals for end-of-life care, despite being, on average, just four months from death. But the third who did were far less likely to undergo cardiopulmonary resuscitation or be put on a ventilator or end up in an intensive-care unit. Two-thirds enrolled in hospice. These patients suffered less, were physically more capable, and were better able, for a longer period, to interact with others. Moreover, six months after the patients died their family members were much less likely to experience persistent major depression. In other words, people who had substantive discussions with their doctor about their end-of-life preferences were far more likely to die at peace and in control of their situation, and to spare their family anguish. 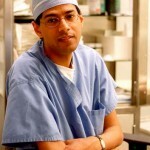 I can’t think of many other journalists who I respect more than Dr. Gawande. Besides having incredible eloquence as a writer, he’s a respected professional in the field he covers. His book “Complications,” nearly made me quit journalism to try med school – it was that fascinating of a look into how terrifying, yet intellectually challenging, it would be to be an ER surgeon – until I realized it would be a long, uphill slog for someone who never took a college level biology class. Gawande has had at least two other notable pieces. One, related to the subject of “Complications,” was how a checklist consisting of steps as simple as reminding doctors to wash their hands was saving a staggering number of patients from post-surgical infections. And the second, about how one town in Texas managed to have the highest, by far, health care costs per capita. The article reportedly caught President Obama’s eye during the health care overhaul. Both are instructive essays on the complexity of health care. “Letting Go” is less so, perhaps because there are no cost-benefit studies that would convince either death-panel-fearing-Tea-partiers or an insurance-company-demonizers that the health care system would ever be right to compel a patient to give up treatment. But as a collection of tragic anecdotes, “Letting Go” really shook me and at least made me remember to appreciate what’s good in life. Maybe that’s Gawande’s ulterior strategy all along, to convince the reader to place enjoying life over prolonging it, and by doing so, maybe, get both. And if you’ve got even more time to spend reading life-or-death longform pieces, I’ll pitch this 13,000-word Pulitzer-winning piece by my ProPublica colleague, Sheri Fink. The subject is how doctors at a New Orleans hospital may have been to quick to euthanize a group of patients while desperately waiting for rescue after Katrina. The overarching theme, as it is in the New Yorker articles mentioned here, is what makes a life worth living/saving, and can doctors make that decision when patients can’t? “Is she dying?” one of the sisters asked me. I didn’t know how to answer the question. I wasn’t even sure what the word “dying” meant anymore. In the past few decades, medical science has rendered obsolete centuries of experience, tradition, and language about our mortality, and created a new difficulty for mankind: how to die. He wanted to show that the higher-brain rationale, which holds that living without consciousness is not really living—and which the President’s commission rejected because it raised questions about quality of life which science can never settle—was the sub-rosa justification for deciding to call a brain-dead person dead. He wanted to make it clear that these doctors were not making a straightforward medical judgment but, rather, a moral judgment that people like Matthew were so devastated that they had lost their claim on existence. According to Memorial workers on the second floor, about a dozen patients who were designated as “3’s” [a triage category for patients thought to be close to death] remained in the lobby by the A.T.M. Other Memorial patients were being evacuated with help from volunteers and medical staff, including Bryant King. Around noon, King told me, he saw Anna Pou holding a handful of syringes and telling a patient near the A.T.M., “I’m going to give you something to make you feel better.” King remembered an earlier conversation with a colleague who, after speaking with Mulderick and Pou, asked him what he thought of hastening patients’ deaths. That was not a doctor’s job, he replied. Patients were hot and uncomfortable, and a few might be terminally ill, but he didn’t think they were in the kind of pain that calls for sedation, let alone mercy killing. When he saw Pou with the syringes, he assumed she was doing just that and said to anyone within earshot: “I’m getting out of here. This is crazy!” King grabbed his bag and stormed downstairs to get on a boat. This entry was posted in thoughts and tagged Atul Gawande, health care, Hurricane Katrina, propublica, Sheri Fink, the new yorker on July 30, 2010 by Dan Nguyen. I would very much like to know the list of items Susan Block covers in her talking to dying people and their families. I have taken the Hospice training and have been intimately involved in four deaths. I also read the Gawande article. And it has sparked some very meaningful discussions within our family. My husband and I (expecting our first baby in October) are having a will written up with a lawyer. And my siblings and I are very glad to know specifically what my parents’ (and each others’) end-of-life wishes are, so that the decisions are not left so much to our discretion. It wasn’t easy bringing up these topics with my loved ones, but when I thought of the others in the equation, and how the discussion could potentially lighten their burden in the future, it was compelling.